Lay people who help distribute Holy Communion at Mass and to the sick are called Extra-ordinary Ministers of Holy Communion. 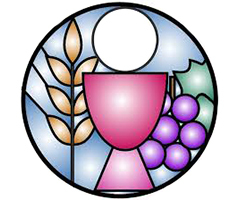 The word ‘extra-ordinary’ indicates that they are not the ordinary or usual ministers of communion – ordained clergy. Sometimes they are incorrectly referred to as Eucharistic Ministers. New ministers in this ministry will receive training and guidelines to follow. We have a number of dedicated ministers who bring communion to the sick and housebound parishioners either in their homes or in a nursing home. Bringing Holy Communion to the sick person links them with the parish community and nourishes them with the body of Christ. It is a requirement of the nursing homes that we visit, that the ministers we provide have a Blue Card and a recent Police Check. The Parish Office will assist with completion of the relevant volunteer paperwork. To register your interest or find out more about this ministry please contact the Parish Office.